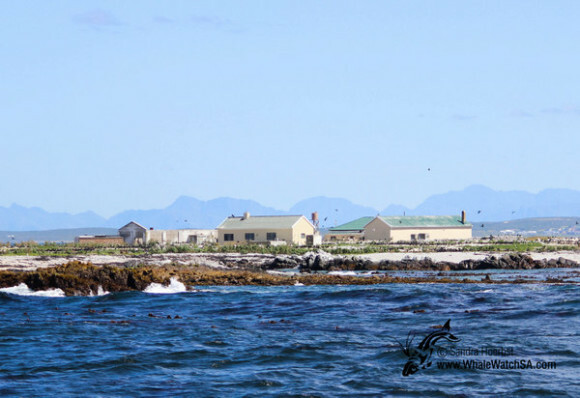 It was another sunny and beatutiful day out at sea. 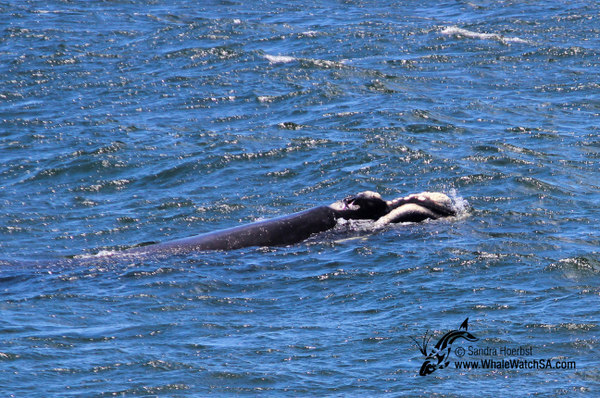 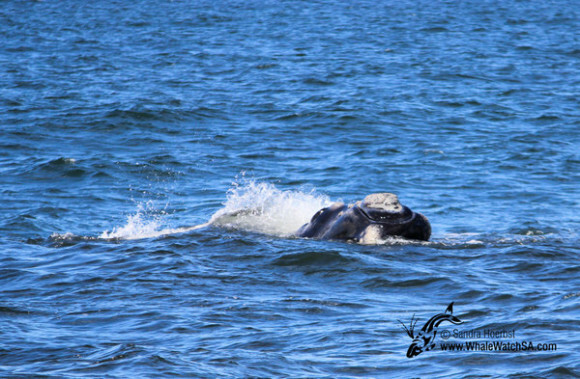 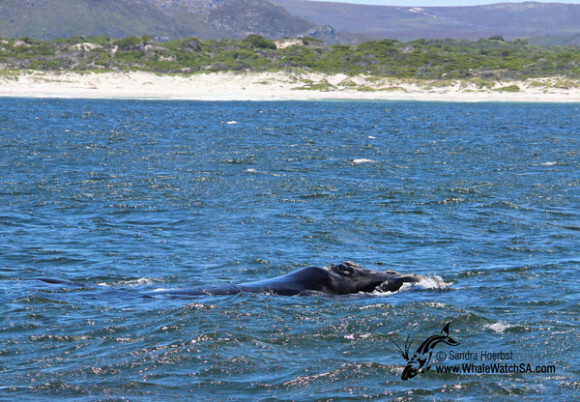 As yesterday we found the Southern Right whales in Pearly Beach, we had a few different mother and calf pairs today. One calf was quite active and started breaching a bit further off. 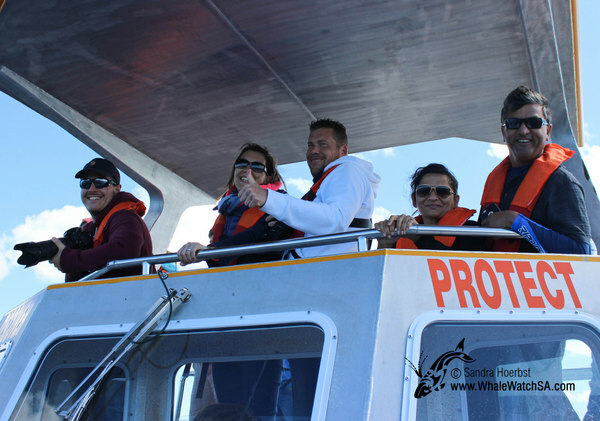 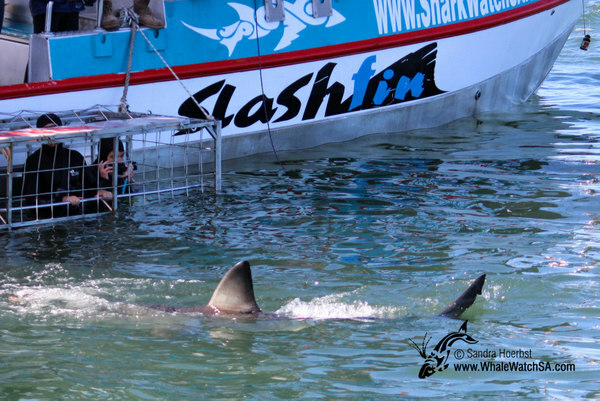 Before heading to Pearly Beach we stopped at Slashfin the vessel from our sister company who offer the Great White shark cage diving. 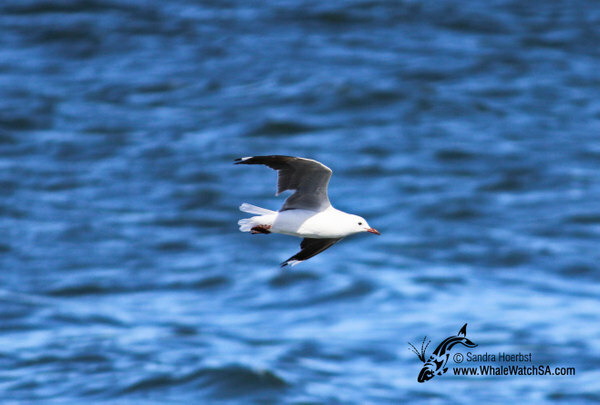 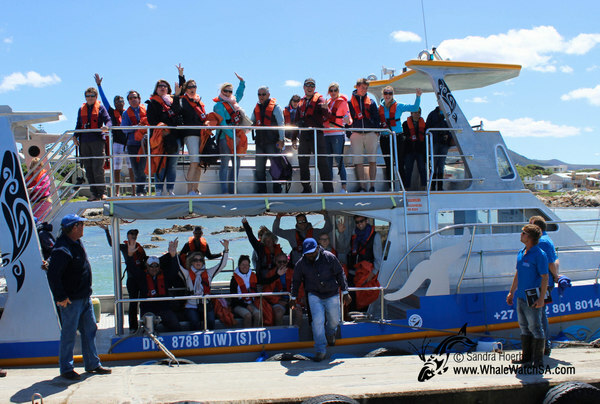 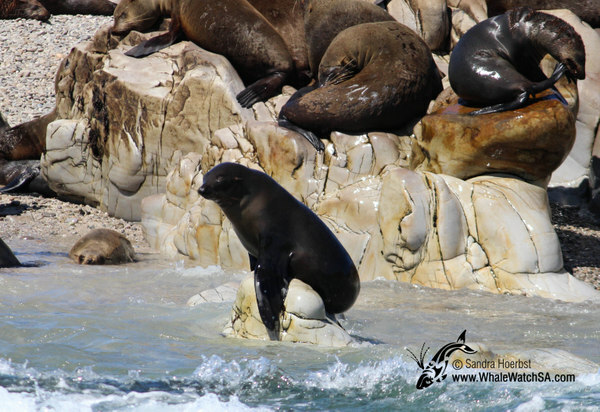 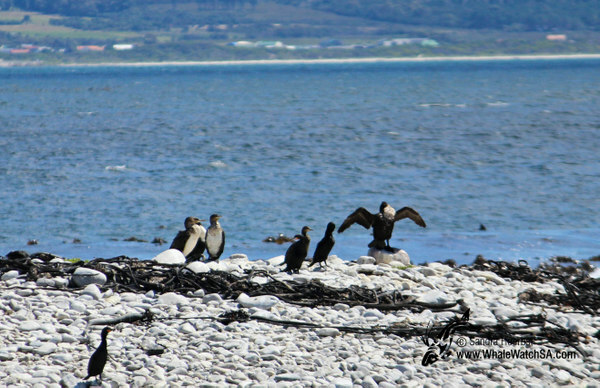 Towards the end of our trips we were passing Geyser Rock to see some of the thousands of Cape Fur seals, as well as Dyer Island to see some seabirds from the area.